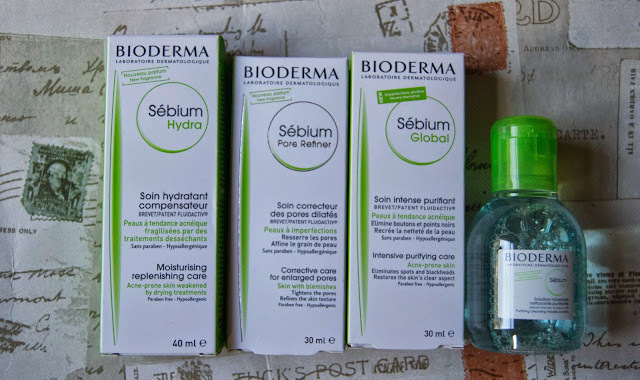 It’s no secret that I love French pharmacy products, Bioderma is one of my favourites. When these little beauties hit my matt I was excited to try them straight away. The Sébium range is great for those of you out there with problem skin. Acne, blemishes or blackheads, these are the products for you. It promotes clear and healthy skin. The Sébium Hydra with its promise of moisturising replenishing care is one of my favourite products in the range. It left my skin feeling smooth and refreshed, I’ve been putting this on before I apply my make-up on a morning. The Pore Refiner is all about tightening those pores. I’ve always had issue with the pores on my nose and nothing seems to budge them or reduce their size. After a week or so of using this I’ve seen a noticeable improvement and clearer t-zone. I look forward to seeing how it improves my skin after a month. Global is all about reducing those visible blemishes that just won’t budge. I have scars on my cheeks from my teenage years and this just helps to fade them. It is by no means a magic cream but I’ve noticed that my skin is a lot brighter. Sébium H2O is the micelle solution I love with a spot fighting boost. I use this to take off my make-up on a night and with its added properties it only compliments the effect the rest of the products have had on my skin. I would really recommend this range and anything you can pick up from Bioderma, I owe them my new adult skin!